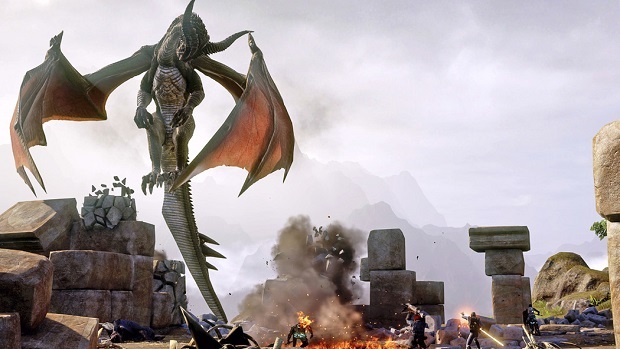 Dragon Age Inquisition players are certainly busy, as Bioware has confirmed that over 2 million dragons have been defeated collectively across all five platforms the game is available on. On the game’s Facebook page, Bioware posted an infographic that confirmed that 2,602,377 dragons have been slain by the game’s collective community. The game contains ten dragons total, some of which can be stumbled upon while others are found at the end of long quest lines. Dragon Age Inquisition recently won Gaming Trend’s Game of the Year award for 2014, and appeared on many of the staff’s personal top ten lists. For more on Inquisition, check out the Gaming Trend review. Those who aren’t afraid of spoilers can check out our thoughts on how Dorian’s story should inform more in the industry, as well as our dedicated podcast discussing the game.